We have ample parking behind the restaurant. Our true Brazilian Steakhouse experience allows you to enjoy the slow cooked tender and tasty meats from our servers with unlimited trips for our favorite sides and salad bar. 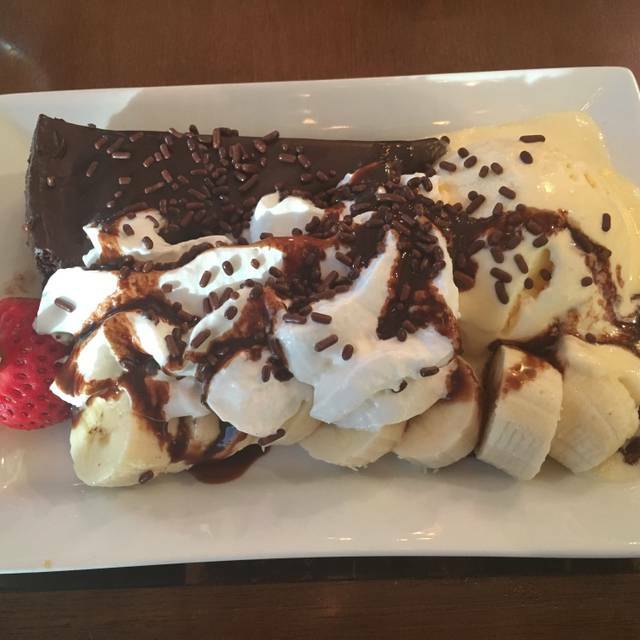 Join us for something unique at Rodizio Grill in Voorhees, New Jersey. Celebrate your birthday, office or graduation party here where everyone can enjoy the friendly atmosphere and delicious food. This is a Brazilian Steak House, so be prepared for meat and lots of it. But they also have a very nice salad bar for your pre-meal pleasure. For me, it's the meats though, and the variety of them. On a Saturday night, barely a minute will go by before you will be presented with still another tasty meat offering. They have a nice bar for your wait. We made reservations and had our table within 10 minutes of our desired time. It's a great place to go for a filling, different dinner! We brought our daughter there to celebrate a school achievement and we had the best time. The food was great, energy and fun with the staff made it a great night. 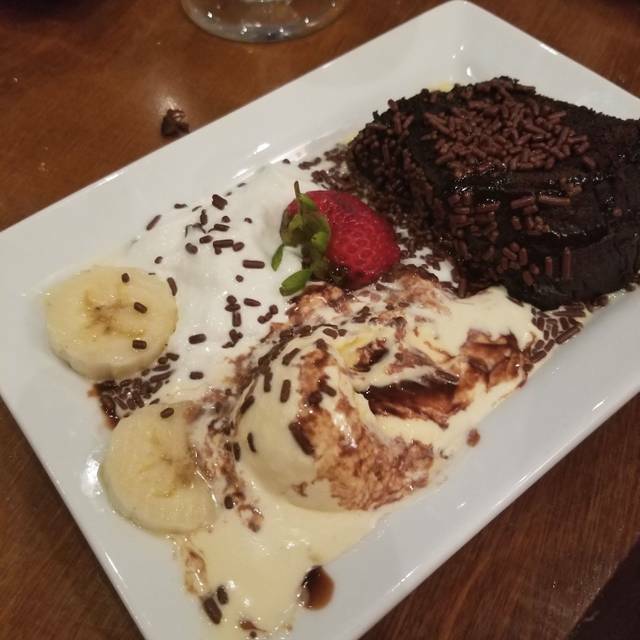 We highly recommend the Rodizio Grill in Voorhees. Food was delicious. Service was awesome. Noise level was too loud. It was hard to hear our server. Also drinks did not have much, of any alcohol on them... and I paid $10 for each one. Great atmosphere, great service and delicious food! Great food. Great service. Desserts were terrible. But we didn't go there for desserts. Overall, excellent! Samantha our waitress was AWESOME!! Great food. Good time. Great food, and the server was awesome. Some of the gauchos could have more personality and be friendlier but most were very good. Price is a little steep for the value but not too bad. I would definitely come back! The truth is that dining here is expensive. It’s up to you to decide if it’s worth it. I’ve decided I would prefer to go to a steakhouse and have a salad and baked potato and a nice steak rather than saying “yes” repeatedly to someone carving two or three bites at the table, over and over again. It is nearly impossible to engage in conversation as this goes on. Not a bad experience, just one I would prefer not to have again. Had a great experience! Will definitely be returning! Amazing food. Great service. Can't wait to go back. Our server Tori was amazing! I just feel that overall the food is not worth the price. We went for a birthday included in our party were 2 who are gluten-free. Just as many options for them. Comfy seats, not on top of one another. Tasty meats that came by at a nice pace. Everyone enjoyed it and the birthday girl had a rousing birthday song sung to her by the staff. We will return. We went for the Brunch seating ($26.99pp) & had plenty of openings. (Thought the $36.99pp was a little steep) The different meat selections were superb. There was a nice flow that allowed you to try everything & you knew your favorites would be back around soon. The only disappointment was with the appetizer/salad bar selections. For the $21.99pp price they charge for just those, I think there should have been some better or more options. All-in-all, this was a great experience & we're looking forward to visiting again. Very good service, good variety at salad bar. Music was very loud making conversation difficult, also very cold inside , wish they could have turned up the heat. Meats were all very tender and flavorful, especially the Parmesan pork cubes. The food wasn't as good as my last visit there. We were waiting a long time fore the steak meat to come out, even had to ask one of the servers to please send them our way. I wish there was more variety of food. Service was great. The variety of meats, salads and side dishes were very appetizing and the service was excellent. The servers were extremely attentive, constantly bring skewers of grilled meats to our table and constantly refilled our beverages. I highly recommend Rodizio Grill to anyone with a heart appetite. The entire experience was outstanding! 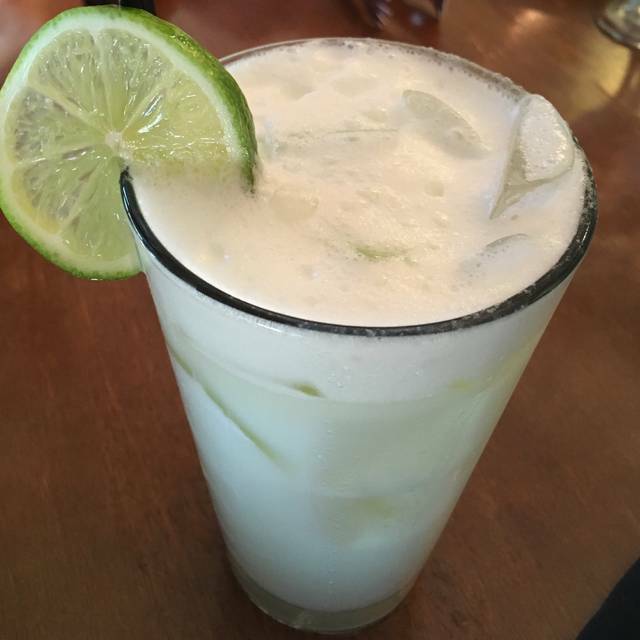 The food was delicious, the staff was friendly, and the beverages were on point. It was pretty good. Service was a bit slow and they didn't have as much of a variety of meats as usual. 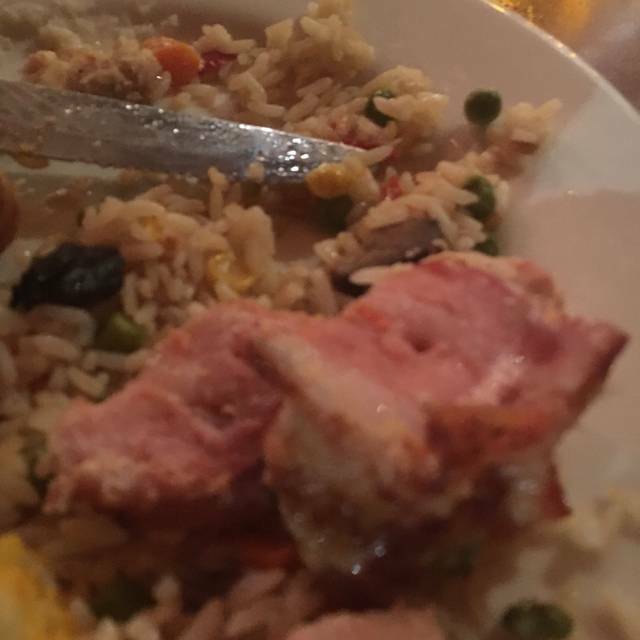 This was by far our worst experience at Rodizio and we have been there several times. There was a significant lack of waitress service, efficiency of gaucho service and selection of meats. Even when we requested from the gauchos specific cuts of meat they intermittently brought them. The server seemed very busy closing and completing side work rather than waiting on our table. Truly a disappointing experience for the amount of money paid. In future we will frequent other similar venues. The decor was less than impressive and the meats were overly salted. We were seated at a table we didn’t want (we had reservations) and were told we would have to wait “anywhere from 20 minutes to an hour “ for a different table. The bar was sticky and the bartender told us to move instead of wiping down the bar. The martinis were served with small , tasteless olives. The wait staff was otherwise friendly and the servers for the meat were very attentive. There was a sticky dried up unknown substance on the drink menu. The most disappointing thing though was the mediocre taste of the food . The restaurant has very nice décor and the service was good. We will not be going back because we were very disappointed by the food. The website said there was Caesar salad, then we were told it was seasonal and not available. The biggest disappointment was the meat, which is why you go to a Brazilian style restaurant. Only one of the five steak was decent (maybe 5 out of 10). The other four were tasteless and very tough and dry. One pork was good. The chicken was also dry and tasteless. I will say the salad bar was decent and had delicious salad dressing. The pineapple was also good. The service was OK to good. We went on a week night around 630 P and when we arrived there were hardly any people there. So we didn’t have to wait very long for the meat servers to come around. The reason I don’t rank it higher was frankly a matter value. The salad bar was nothing special and most of the items did not appear fresh ie looked like they had been sitting there a while. The meat was good, and they did come around quite frequently until more people arrived then it got slow. You will spend, including a tip and soda, about $50 a person-it did not feel like a $50 experience to me. We had a great time, and the manager was the best. He made our daughter feel special. Very wonderful experience and we will be back. 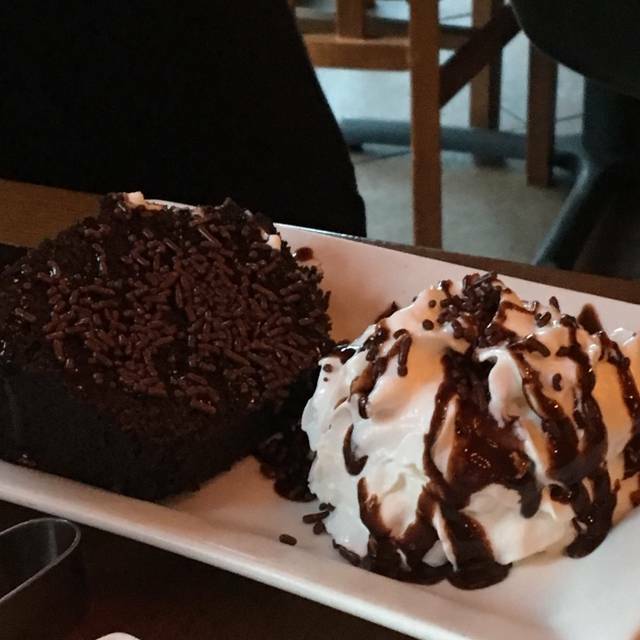 Food was amazing as well and the servers were very very nice. Great food. Service was great. It was our first time there so they were very informative on how it worked. Everything lived up to my expectations, food, atmosphere, and service. My wife wished for a better variety from the salad bar, but for me it was fine. I highly recommend Rodizio Grill for a special occasion. This year was even better than last!!! The food was delicious, the meat was well seasoned and cooked perfectly. The restaurant was packed and still our service was excellent.